Everyone loves a bargain, and there’s no denying that the EOS 4000D represents great value for money. Over time, we would expect the EOS 4000D’s price to fall to perhaps the lowest point ever for a Canon DSLR, but there is a downside. To achieve these prices Canon has resorted to relatively old technology, low-spec autofocus and cheap kit lenses. 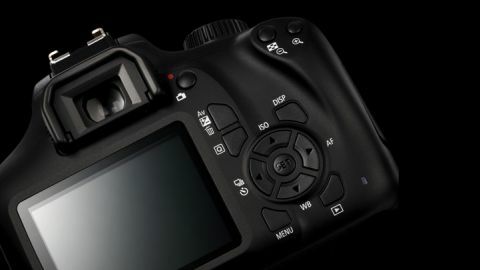 The EOS 2000D is identical in most respects, although it has a 24.1MP sensor, a metal lens mount, Wi-Fi and a higher-resolution LCD screen among other changes. This older model has a larger LCD screen and NFC as advantages over the newer EOS 4000D, and is currently priced very similarly. Nikon's entry-level offering boasts a 24MP sensor and a better LCD screen than the EOS 4000D's, together with 5fps burst shooting and an 11fps AF system.